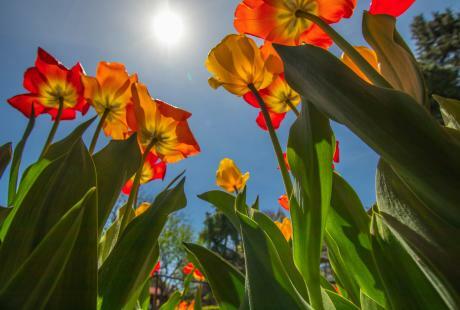 From rolling hills, river backdrops, small town charm, expansive parks, historic homes, and grand castles Bucks County has it all for a television or movie filming. Bucks County has many beautiful parks that make for great scenic backdrops and locations for filming. 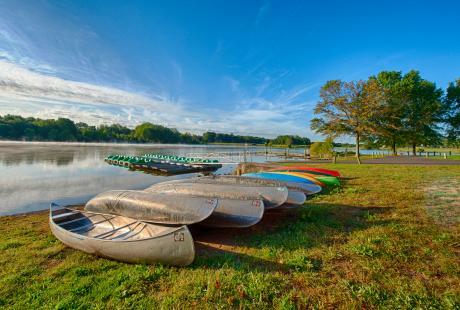 • 1,450-acre Lake Nockamixon, Bucks County's largest lake. 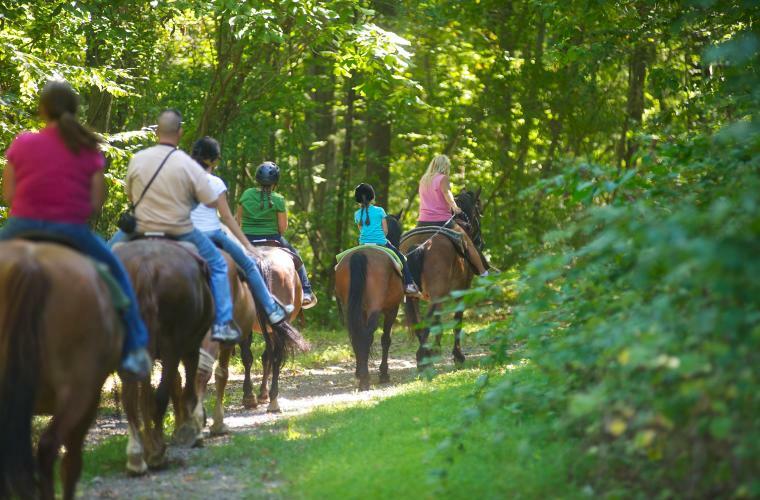 Overall Bucks County has more than 7,500 acres of county and state park land for fishing, boating, hunting, hiking and more, and nearly 1,000 campsites. Bucks County is known for its magnificent and grand castles that are perfect for a period piece or even a haunted thriller. All three locations are National Historic Landmarks and are located in Doylestown, PA.
• Mercer Museum: The Mercer Museum is a 6 six story concrete castle that was completed in 1916 and is home to an early American artifact art exhibit that was started by Henry Chapman Mercer. With over 40,000 artifacts, 60 early American trades are on display in the museum. The outside of this museum is magnificent and grand during the day and at night an eerie glow surrounds the castle perfect for a haunted filming. • Fonthill Castle: Henry Chapman Mercer completed his concrete castle home in 1912. There are forty-four rooms in Fonthill: 10 bathrooms; 5 bedrooms; at least 32 stairwells; 18 fireplaces; 21 chimneys and air vents and sits on 60 acres of land. Mercer incorporated his own handmade tiles and Persian, Chinese, Spanish, and Dutch tiles he had collected into the architecture of the castle. Fonthill also features over 900 prints on display and over 6,000 books in built in bookcases. 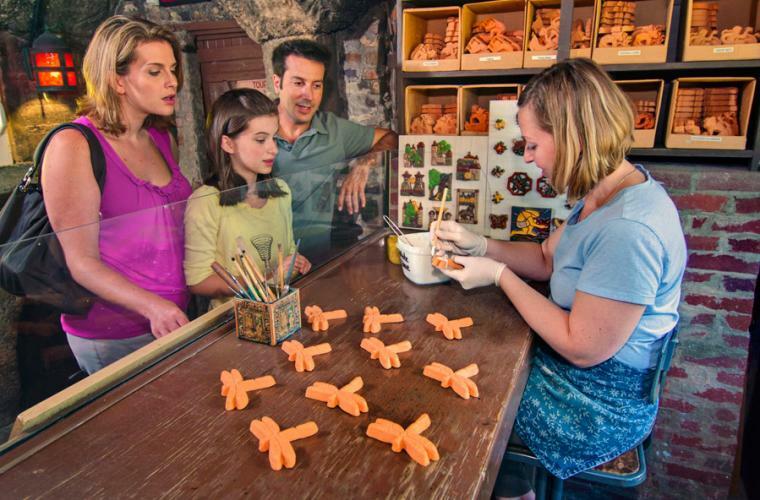 • Moravian Pottery & Tile Works: Moravian Pottery and Tile Works is maintained as a "working history" museum. Handmade tiles are still created in a similar way to how Henry Mercer, who was a major proponent in the Arts and Crafts artistic movement in America, created them. The pottery and tile works building is an outstanding castle that was built in a similar fashion to Fonthill Castle and the Mercer Museum. Bucks County is full of a rich and long lasting history. Many renowned figures have traveled to and lived in the area. Their homes are an ideal stage for historic and classic American stories. • Pennsbury Manor: Pennsbury Manor is the reconstructed 17th century country estate home of William Penn. This 43 acre plantation is located in Morrisville, PA along the picturesque Delaware River. The estate features a classic and prominent manor house overlooking the Delaware furnished with 17th century period pieces, livestock roaming the grounds, beautiful gardens, and several outbuildings. Colonial actors work on the estate and show what daily life was like for visitors. • Andalusia: Built in 1795, Andalusia is an outstanding representation of Greek revival architecture in the United States. Andalusia has been in the Biddle family, a prominent family in the Philadelphia area, for over 200 years. This mansion has been named a National Historical Landmark and sits along the Delaware River. The mansion is surrounded by spectacular landscape, lush gardens and romantic out-buildings. View the serene river from the patio of the main house or stroll through the expansive gardens of this historical and ostentatious mansion. • Pearl S. Buck House: Located just outside of Doylestown, PA is the Pearl S. Buck House. This national historic landmark was a historic house turned into a museum, and was once the home to Nobel Peace Prize and Pulitzer Prize winning author Pearl S. Buck. This recently restored 1825 stone farmhouse is located on 68 acres of land and features award-winning gardens, walking trails, greenhouses, seasonal exhibits, restored barn and Pearl S Buck's gravesite. 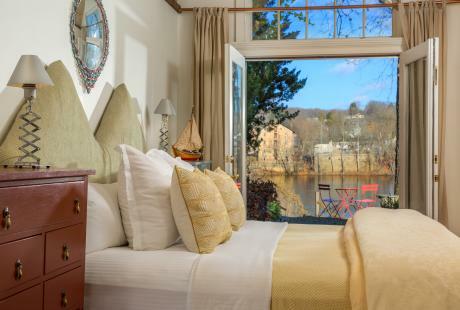 • Washington Crossing Inn: The Washington Crossing Inn was originally the Ferry Inn in 1777. It was then changed to the Taylor home in 1817 and all that remains is the 1817 renovations along with the renovations made in the 1930's by the Haven Family. The Washington Crossing Inn was built in commemoration of the location where George Washington and his troops famously crossed the Delaware River in 1776. This colonial style inn is fully equipped with a grand ballroom and still has the original hearth from the 1817 home. 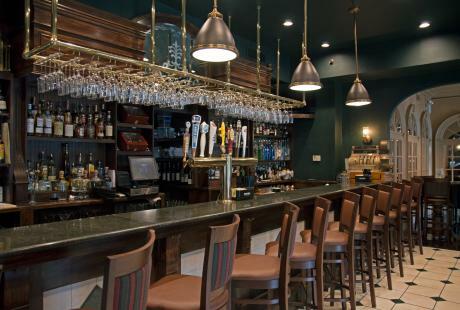 This inn is full of American history and charm and is a wonderful example of colonial architecture. Classic Americana and eclectic small towns showcase the wonders and uniqueness of Bucks County. 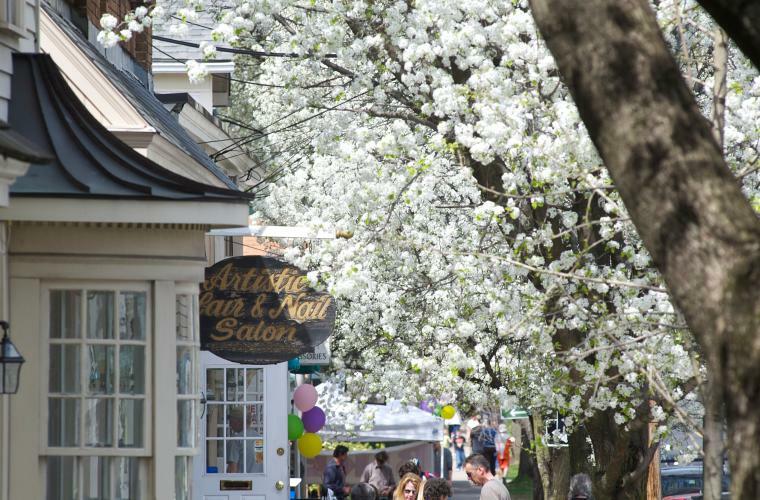 Bucks County's towns have all the charm and comfort of the countryside along with their picturesque main streets. • Newtown: Newtown is home to charming specialty shops, small restaurants, great shopping and the oldest movie theater in the United States. This small town is full of excitement on the main streets but still has the calming feel of being in the countryside. 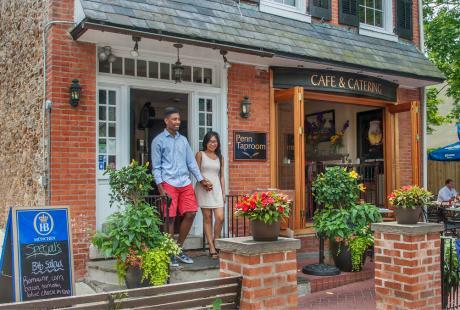 The main streets in Newtown give the feeling of small town Americana with a Bucks County twist. The tree-lined streets are perfect for an afternoon walk shopping and taking in the historic architecture of the town. It offers the ease of a small town and makes you feel welcomed the minute you step in town. • Doylestown: Full of history, art and culture, the main streets in Doylestown exemplify why this is a classic American town. The unique shops and restaurants keep people coming back for more. Walking through the calming streets and seeing the town is how visitors take in the classic homes and store fronts. 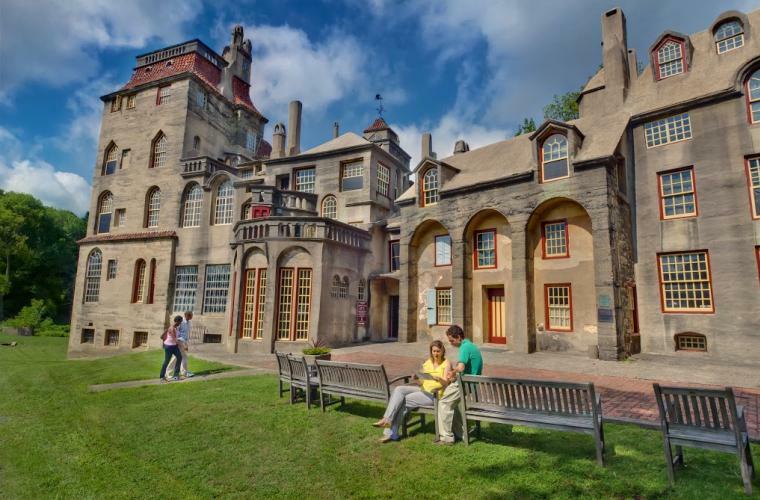 Not far from the center of town are the Mercer Museum, Fonthill Castle, the Moravian Pottery & Tile Works, and the renowned James A. Michener Art Museum. • New Hope: Nestled along the beautiful Delaware River. New Hope is an eclectic and unique small town. It is full of small family restaurants, cafes, boutique shops, al fresco dining, and magnificent views of the river. This area is also home to many countryside bed and breakfasts. 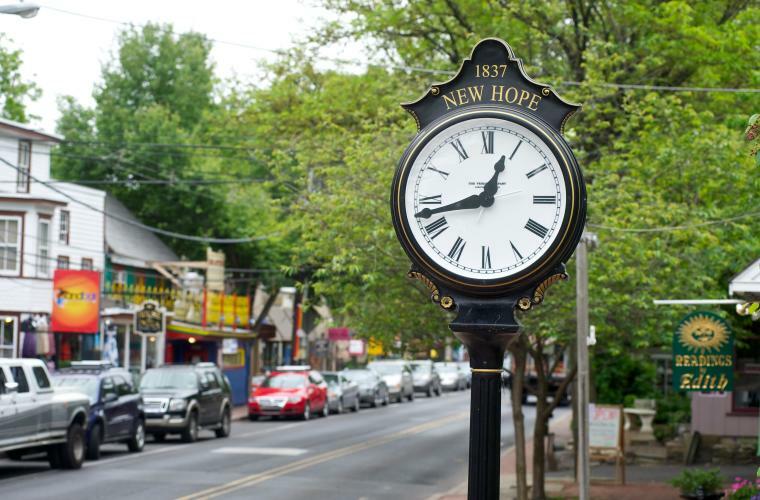 Something is always going on in New Hope and the streets are always bustling with visitors taking in the exciting riverside town.